Stop by any corner café and you’re bound to find a panini served on the lunch menu. Panini in Italian refers to a sandwich. But what exactly separates a panini from a regular sandwich? Well, that would be the grilling. The grilled bread of a panini is its trademark and achieved by giving a quick brush of olive oil or melted butter to get that golden brown crunch. A crispy panini with gooey, melted cheese makes a stellar lunch any day. Now, you can quickly and easily make it right at home! 1) Season chicken cutlets with salt and pepper. Grill chicken for about 4-5 minutes on each side until the cutlet is about 90% cooked with grill marks on each side. Remove from grill and set aside. 3) Drizzle both sides of the bread with olive oil. 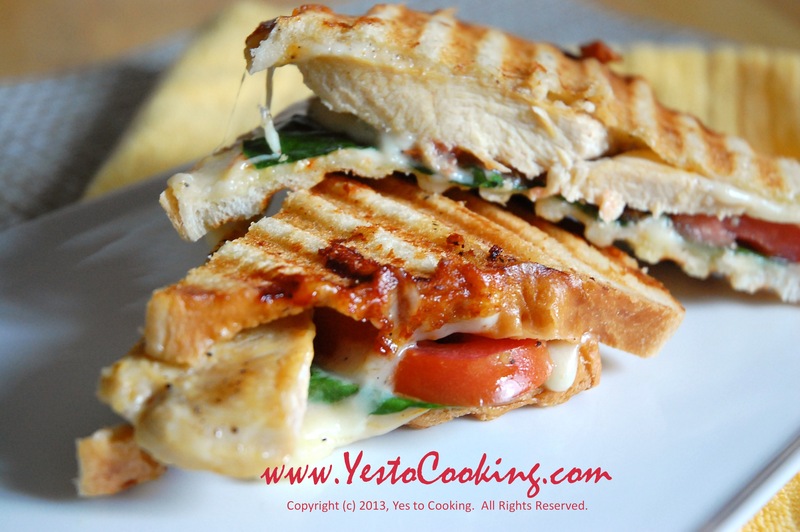 Layer muenster cheese, chicken, tomato, spinach, and another slice of cheese between the slices. 4) Prepare panini grill on high-heat settings. 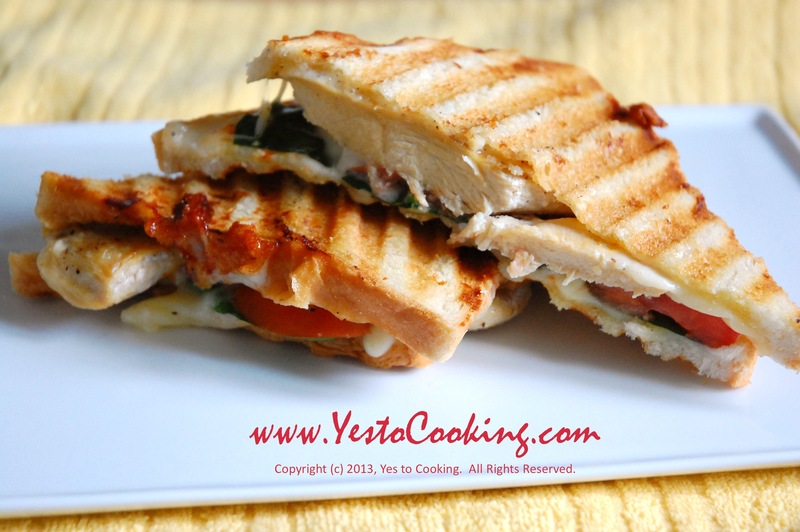 Place assembled sandwich in the panini press and let it toast until golden brown (approx. 2-3 minutes). 5) Cut diagonally with a serrated knife. Serve immediately. Be careful to not overcook the chicken when you first grill it; otherwise, you will get a dry, tough chicken cutlet. For moist chicken, make it just slightly underdone- because, when you put the panini in the press, the chicken will continue cooking. 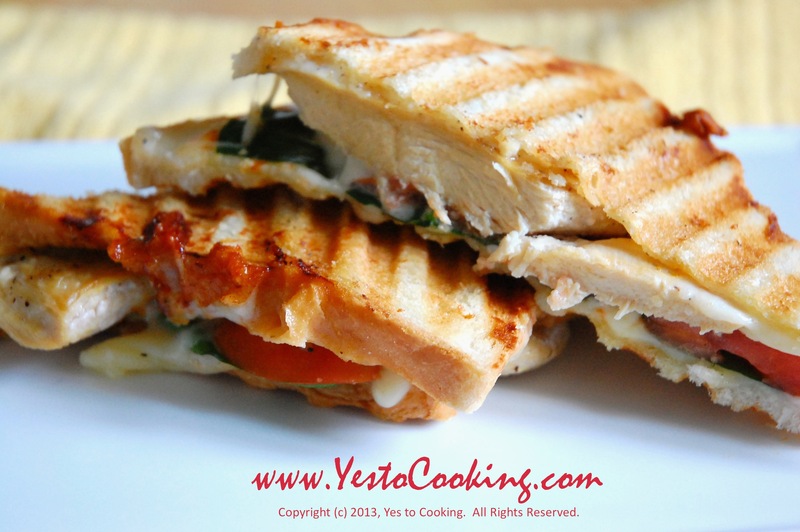 Tags: chicken and cheese panini, chicken tomato spinach cheese panini, cooking, grilled chicken panini, lunch sandwiches, muenster cheese sandwich. Bookmark the permalink. i had lobster panini before.. I would love to have this for tomorrow’s lunch!